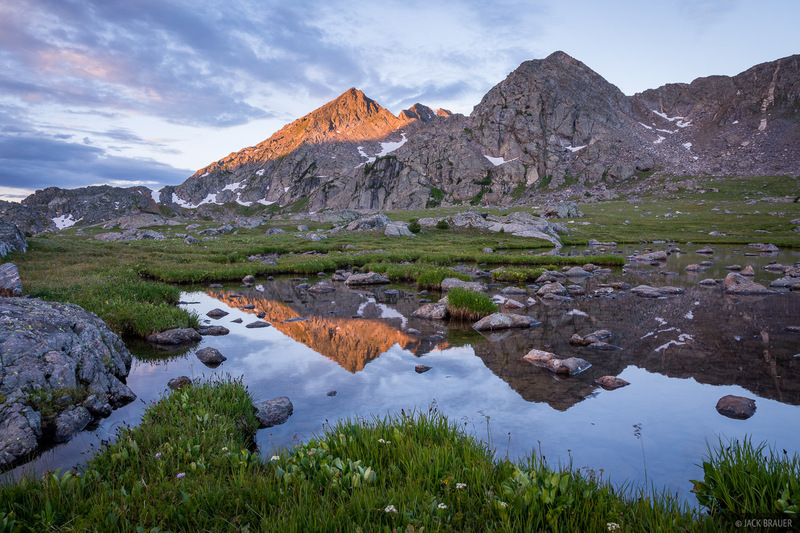 After a rocking thunderstorm in the evening (including a deafening lightning strike within perhaps a hundred meters of our tent) we awoke to clear skies and sunrise light at Missouri Lakes. Hiking over Missouri Pass with Treasure Vault Lake ahead. This area at the head of Cross Creek is a tundra paradise! Looking down towards a remote alpine lake below rugged peaks deep in the Holy Cross Wilderness. 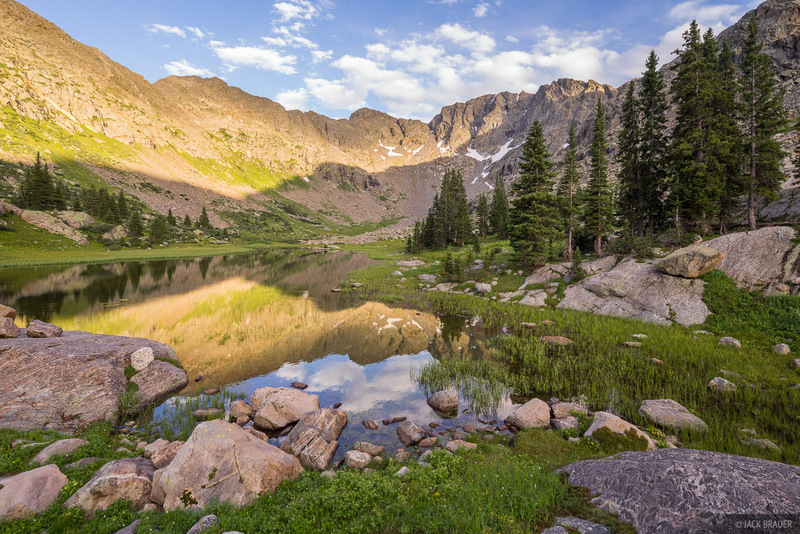 Evening light reflects in this remote alpine lake. Some places like this are so pristine that it's obvious that people rarely visit. 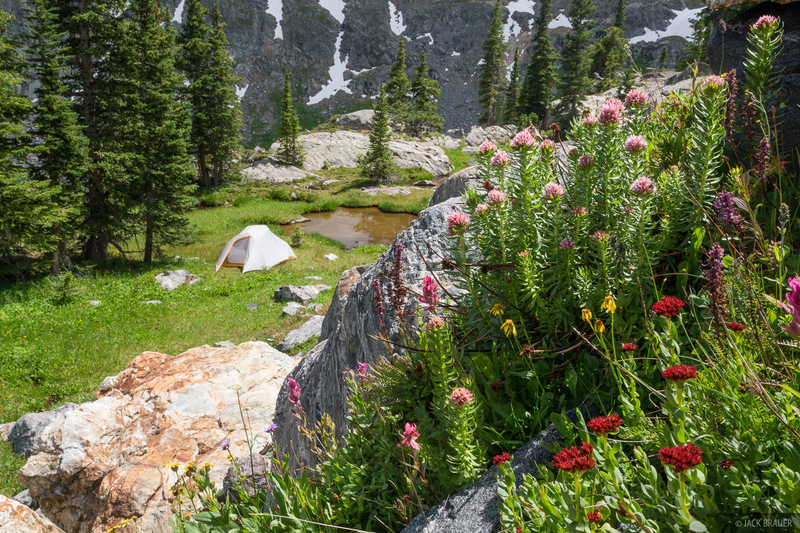 Whenever we camp in the backcountry (and especially in pristine places like this) we take great care to not pollute, trample, or leave any trace of our visit. A flower garden above our third night's tent site. 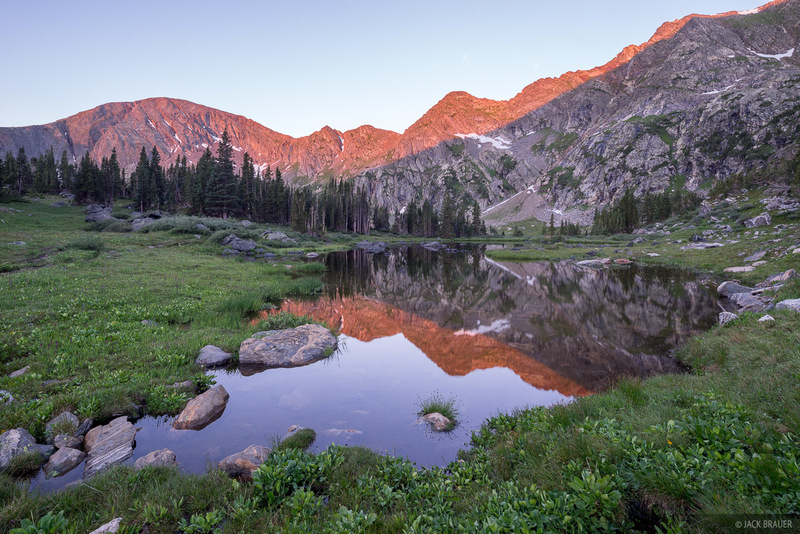 Sunrise light on the peaks above Blodgett Lake. 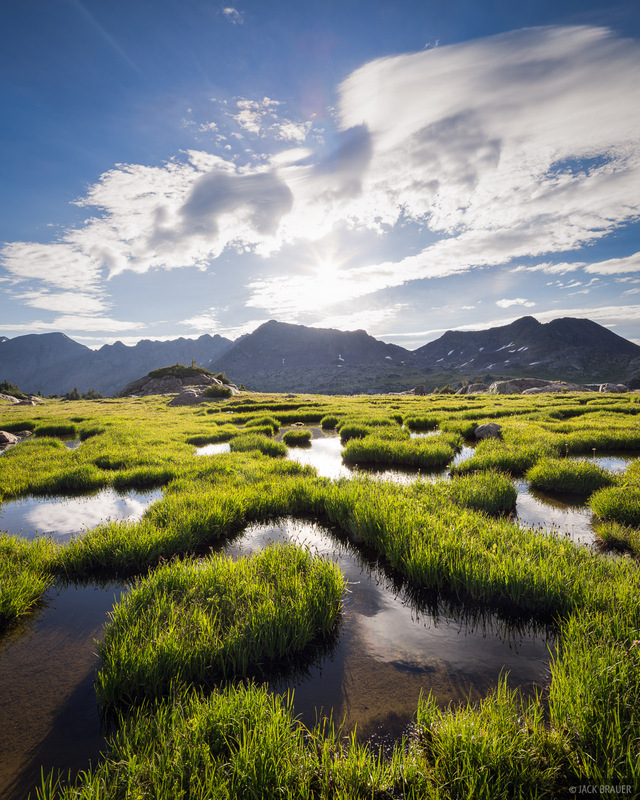 Morning light at some zen ponds on the tundra. 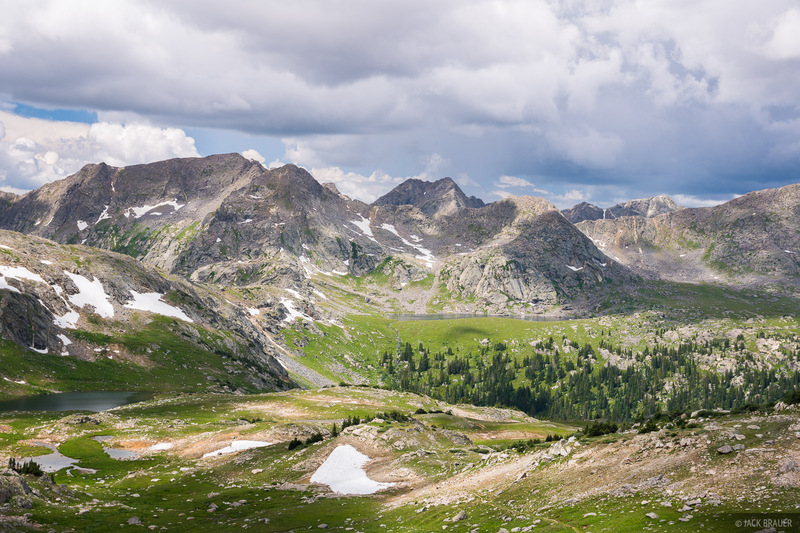 Looking back towards the head of the Cross Creek valley from Fancy Pass, with monsoon thunder clouds rolling in. 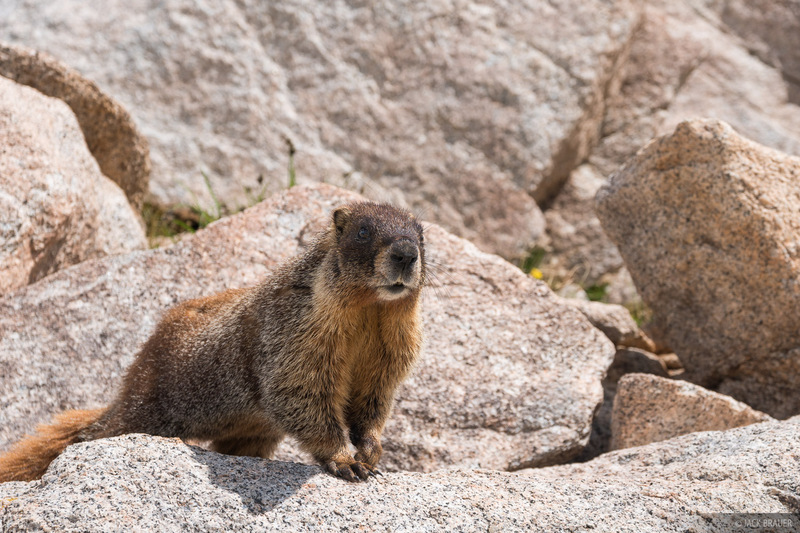 A marmot peeks out from the rocks to see what's up with these humanoids hiking by. 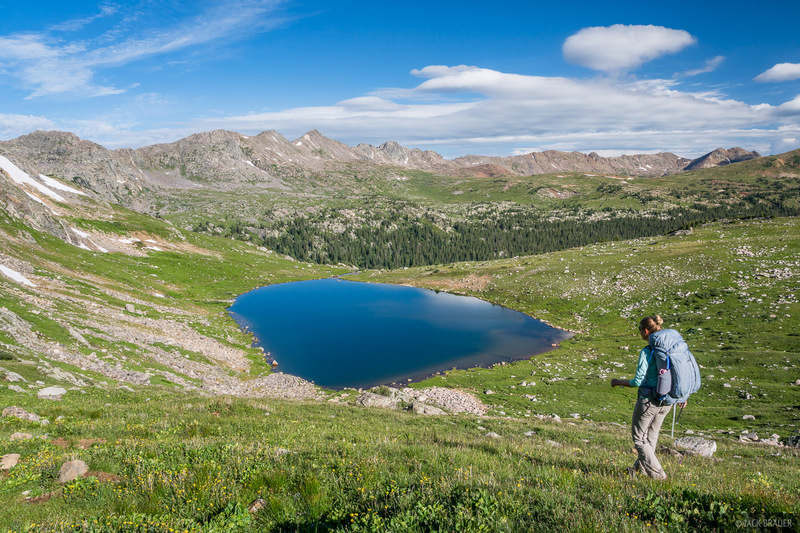 See more photos from the Sawatch Range here. 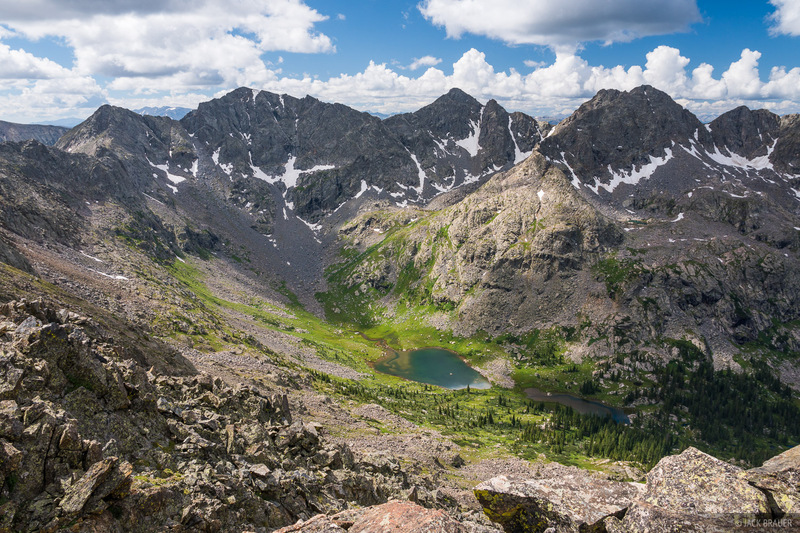 Posted in Backpacking & Trekking, Colorado and tagged Colorado, Sawatch.